Open those garage doors and unlock the sheds. Your lawn equipment is begging to hit the turf. Whoa, but no too fast. Make sure your equipment "wakes up on the right side of the bed" by performing the right kind of pre-season maintenance. So start getting ready by learning the tips and tricks to prevent 99% of all repairs this season. Welcome to Spring Maintenance 101. That’s right guys. Fresh goes Better. Power equipment users have struggled in the past by not realizing the issues with stale fuel and the harmful, corrosive effects of ethanol (E10). *Warning – gas has a shelf life of 30 days. That’s it! Never put stale fuel into your power equipment or you’ll be in the shop more than once this season. Also, manufacturer warranties do not cover any fuel-related mishaps. Only buy a two weeks supply of gas. That way you’ll be forced to go get fresh gas for your equipment as your supply runs low. Always add a fuel stabilizer/additive, like Star Tron, to the fresh gas right away. This will help extend the shelf life of your fuel and decrease the effects of ethanol. Lesson #2: Oil, Oil, Oil! Change and check the oil at the start of every season. Oil is the life blood of your power equipment. They want it. They need it. They thrive on it. Most people don’t change the oil at the end of the season. That’s why all manufacturers recommend doing an oil change at the beginning of the mowing season. This will ensure your engine is properly lubricated when you fire it up. Improper lubrication can damage the internal engine parts and even cause your engine to seize up. This will lead to extensive repairs you definitely don’t want to do or pay for. Change the oil at the beginning of every mowing season, and at every service interval specified by your manufacturer (based on a number of operating hours). 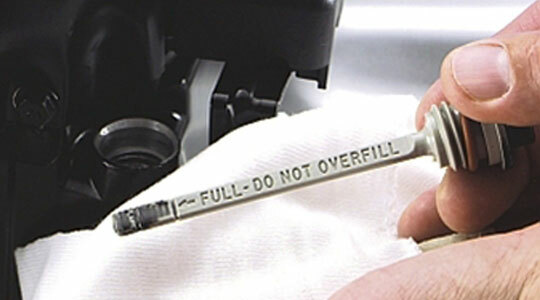 For your riding mower or zero turn, replace the oil filter (if equipped) too. Check the oil level before every use to see if there were any leaks. Check the Basics: air filter, oil, spark plug, belts, mowing deck, pulleys, and spindles. If you’re keen on engine maintenance, but overlook certain structural components of your mower, you could be in for a surprise when you first begin to mow. 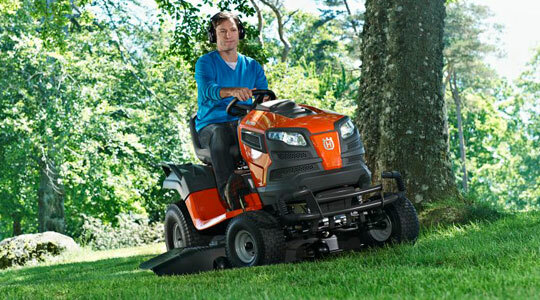 On your riding mower or zero turn, make sure the mower deck is level. A tilted deck will create uneven grass streaks in your lawn. Also see if the pulleys and spindles are secure, not wobbling. Everyone should hopefully know this next point. The blades must be sharp! Don’t start off the season mowing with dull blades, or your grass will take very unhealthy turn. Ripped edges, brown tips, and possible disease will not be a pretty sight. Last but not least, test the electrical systems on your mower, including the deck lift, blade engagement, and drive controls. There’s no use mowing if the blades won’t engage. Check the Basics: air filter, oil, spark plug, and belt. Tillers take most of the dirty work out of manually preparing the soil every year in your garden, unlike the old days when it was done by hand or by horse. 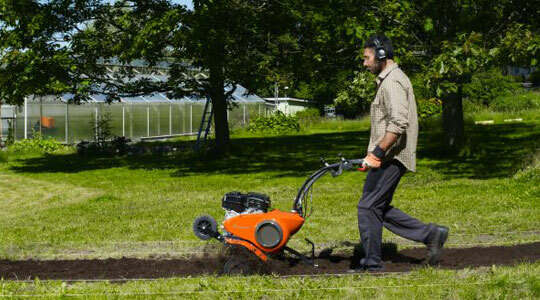 However, you must wait for the soil to be dry and warm enough, so your tiller can easily dig through the dirt. Waiting for the ground to thaw is the perfect time to prepare your tiller. After you’ve checked the basics, there are a few other things you need to consider. Are the tines set correctly? Many tillers have reversible tines. One direction is used for tilling, and the other is used for cultivating (weeding). If you’re using a 2-Cycle tiller, do you have the appropriate fuel/oil mixture (50:1, 40:1)? Are the tines sharp? The tine blades can become dull if used frequently in rocky soil. Give them a quick sharpening. And finally, after every use it’s very important to clean your tilling machine to remove any debris and dirt that could get in the engine. Also cut away any weeds or vines that are wrapped around the tines. Check the Basics: air filter, spark plug, recoil starter, and your supply of trimmer line. 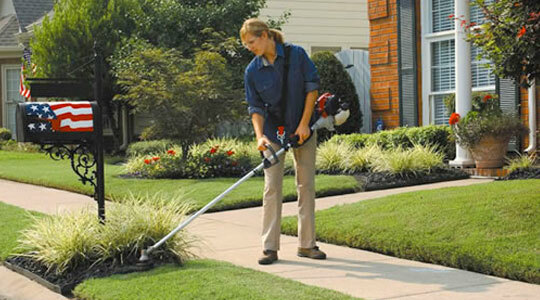 Most handheld string trimmers are powered by 2-Cycle engines. These engines require a fuel/oil mixture, instead of straight gas like a 4-Cycle engine. The biggest mistake a new trimmer owner can make is to use the wrong fuel/oil mixture. Refer to your equipment owner’s manual to find out what the proper fuel to oil ratio should be. From the engine down, look at the shaft. If you have straight shaft trimmer, make sure the shaft is STRAIGHT! A bend in the shaft could hurt the drive shaft and cause excessive vibrations. Plus it can also effect the natural operating position of the user. Now to the trimmer head. If you see any cracks, bent components, or missing screws, replace them immediately before you start your trimmer again. You wouldn’t want the blades or trimmer head to fly off and hurt anything or anyone. Sometimes it’s best to be better at the basics. Especially since certain things like oil changes and keeping your gas fresh are not difficult tasks at all. So use this Spring maintenance guide as a little helper and a reminder to stay out of the repair shop this year. just installed new carb from you but it won’t start except by pouring gas down carb . only runs as long until gas is burned out. seems like the carb is not allowing gas to come thru the carb .how do I adjust the needle valve? or any other fix on it.